Hilton will next year open its fifth DoubleTree branded hotel in New Zealand. Construction is well underway on a newbuild hotel in the New Zealand coastal town of Napier, which in early 2019 will open its doors as Doubletree by Hilton Napier. 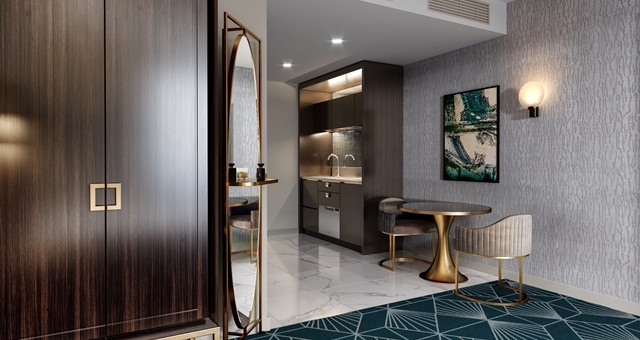 The announcement takes the DoubleTree portfolio to 54 properties in the Asia Pacific, with Napier’s new hotel to be managed by Sarin Investments, an Auckland-based firm. Facilities will include a restaurant and bar, fitness centre and boardroom for meetings. Once open, it will become the fifth DoubleTree by Hilton property in New Zealand, joining brand-mates in Karaka, Queenstown, Wellington and Christchurch. Situated a short walk from the city’s Hastings Street, the modern hotel will align with Napier’s art-deco theme. The city’s cruise terminal, waterfront restaurants and expansive Hawke’s Bay wine region will also be a short drive away. “In addition to the recent signing of DoubleTree by Hilton Karaka, the hotel will join three other DoubleTree branded properties across the country which are located in Queenstown, Christchurch and Wellington,” said Hilton Asia & Australasia Senior Vice President for Development, Guy Phillips.